On YouTube, amidst mountains of rubbish, you can also come across truly excellent historical information presented in a very entertaining video format. The above YouTube channel, Townsends, offers hundreds of videos exploring 18th century American living. Along with fascinating historical information, this channel dishes up some amazing 18th century cooking, prepared as it would have been, back when bison roamed America’s fruited plains. The Pemican video is part of a series of videos on this true early American survival food. The Townsends YouTube channel offers dozens upon dozens of well-researched videos on 18th century cooking and living, presented in an entertaining and educational format. These videos are like a walk back into early American life and you can almost imagine you’re living in George Washington’s time. With my fascination with the American colonial time period, once I came across the Townsends channel, I wished I still had my cheap felt tricorn hat and quill pen. In my last blog post, I took a pretty dim view of some of the “homesteading” videos I’ve watched on YouTube. There seems to be a consumerist bent to how many of these people approach their “back-to-nature” lifestyle, being motivated mostly by watching other popular YouTube homesteading “influencers”, then following advice gleaned via social media, embarking on moving into rural settings they are unfamiliar with and lacking financial plans and a means to provide for unexpected expenses. The ground truth appears to be, their goal seems more to become quickly famous (popular) selling their beliefs about their back-to-nature lifestyle than it does to actually develop good working systems on their homestead and that bothers me. Many of these people seem to spend more time working on their YouTube videos and social media than they do on finding practical ways to make their actual homesteading more productive. Any home, requires food, water, heating, sheltering, waste disposal/sanitation systems. Those are the basics anywhere humans live. The more effectively and reliably these systems operate in a home, the more enjoyable everyday life becomes. Absent dependable systems in the basics, the more stressful life becomes. That’s just common sense, in colonial American homesteading or modern American homesteading. Rather than be so negative about so much of the YouTube homesteading fad, here’s, the queen of common sense homesteader, Appalachia’s Homestead with Patara, who offers not only sensible homesteading advice, she offers the real deal homespun common sense advice, to people with no background in gardening or farming, embarking on a homesteading lifestyle. Beyond all of the sensible things Patara says about finances and planning for her homestead, at minute 7:32, in the background is a simple clothesline. I’ve watched another YouTube channel, of a homesteading couple, with a lot of young children, who have put out several videos where the mother laments about all of her off-the-grid laundry misery. They choose to live with no electricity and this mother uses a ridiculously small, folding, wooden drying rack to try to dry clothes outside. In a recent video, she praised her husband for helping her out with laundry… by carting some of their laundry to the neighbor’s, to wash and dry there. How on earth this is being self-reliant, I have yet to figure out. In another video, this father also talked about going to part-time hours at his retail job in a home improvement store, in hopes of being able to have more time to work at home… mostly, it seemed, on their social media video “business” ventures. I kept wondering why on earth, living in the Ozarks and this man working in a home improvement store, he hadn’t put up some real clothesline outside, so his wife could make use of the many days of wonderful breezes there. I lived at Fort Leonard Wood in the early 90s, during my husband’s Army career and I had a clothesline in my backyard of our military housing. On many clear, breezy days, I could fill up my clothesline, sometimes three separate times with loads of laundry. I started laundry as soon as my kids left for school and got the first couple loads hung out. Usually by noon, that was dry and I could hang out some more. And if I had still more, by mid-afternoon, I could hang it out and get it dried. I had a large capacity electric washer and dryer though, so on rainy days, laundry continued without any interruptions. One time, living in MO, the heating element in my dryer stopped working. My husband went and picked up a new heating element and fixed my dryer when he got home, after working a very long day in the Army. A clothesline is a common sense thing to have living a rural lifestyle, in most parts of the country. It’s also one of those basics that could make laundry less of a trial with a large family and no electricity. A sturdy clothesline doesn’t cost much to put together and for a family with small children, off-the-grid, it makes no sense to me why this mother spends so much time on YouTube lamenting about her laundry woes. I kept wondering why her husband, who said he worked at a home improvement store, hadn’t put up some sturdy clotheslines, so she could make use of the great breezes that blow through the Ozarks. Instead, this mother waxes on about amber teething necklaces, pricey amazon health food stuff and the kids, unsupervised, were mixing up batter with almond flour in one video. I had priced almond flour for a recipe that called for it. The Walmart store brand was $10 and some change for a 2 lb. bag. The other brands of almond flour cost more than that. I decided to stick with my all-purpose flour and skip trying this new recipe with almond flour. As irksome as I found this couple’s laundry decision-making, it’s nothing compared to some of the YouTube preppers, like a lady waxing on about “dry canning” store bought rice and beans and claiming they have a shelf life of 30 years. I wondered who on earth tested this “dry canning” method as a safe 30-year food storage method… She did motivate me to go through my cupboards and discard some food that had long passed the expiration date, lol. I have a bad habit of stockpiling store-bought canned goods and packaged food. “Dry canning” store-bought beans and rice is advice, I’ll take a pass on, thank-you very much. I suppose this sounds like my Three Little Pigs YouTube homesteading saga, so here’s another couple at Living Traditions Homestead (also in the Ozarks), who offer really solid, practical advice on planning and operating a family homestead business. This couple planned for 7 years before moving to a homestead in the country. They paid off all of their debt and appear to do their homework before making big decisions and changes. They offer many interesting cooking and canning videos too. My dream isn’t a family homestead, but to be completely debt-free and to eventually have a big backyard vegetable garden again and plant lots of flowers. Whenever I browse seed company sites or walk into stores with gardening supplies and plants, my heart longs to buy, buy, buy, but I’m going to just grow some herbs and veggies in containers this year. It’s the same response when I watch many homesteading and gardening videos, my eyes are bigger than my physical energy level and time. For inspiration on container gardening, here’s another YouTube channel, a very nice couple at, Hollis and Nancy’s Homestead, who offer very clear how-to videos on container gardening methods. You can learn many positive things from YouTube and social media, but often the “most popular” people or the videos with the most likes aren’t the ones offering the most sensible advice. It’s best to take the time to wander through several YouTube channels when looking for “how-to” videos and think about what that channel is really selling before buying into magical “healthy” products or lifestyles. As the Appalachia Homestead lady, Patara, advises constantly, “Slow down and think before rushing into things!” That’s sound advice on just about all aspects of life. With our endless silly, shallow, venal political circus in America, I’ve wandered back to America’s pioneer days this summer. Of course, I am still keeping an eye on politics, because being an unrepentant news-junkie, going cold turkey away from news just ain’t happening. Since traveling isn’t possible with my husband still recuperating from VP shunt surgery in June, I’m hitting the trail back to the Old West with my reading. p. 126, Brave Companions: Portraits in History, by David McCullough. This short David McCullough book served as my summer reading jumping off point, as I sat here wondering why I had never read any Conrad Richter novels. Richter is the subject in Chapter Ten: Cross the Blue Mountain. I love American pioneer novels, so I have no idea how I missed Conrad Richter. 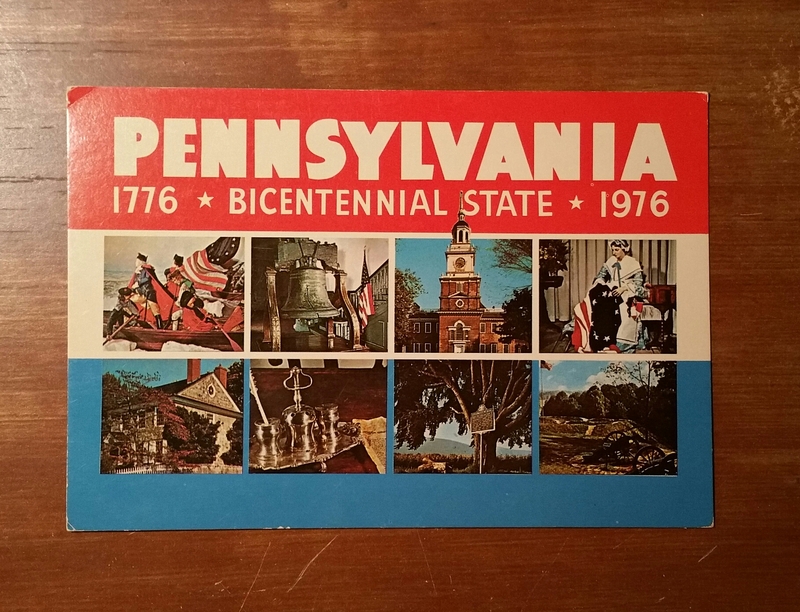 My love of stories about Americans pioneers settling in a new land began during the 1970s when American bicentennial mania hit. I read every novel in the John Jakes’ Bicentennial series about the Kent family. Around that same time I read Owen Wister’s novel, The Virginian: A Horseman of the Plains, for the first time and fell in love with the main character, the strong, quiet cowboy, the Virginian. This remains my all-time favorite Western novel. This McCullough book is how many of my reading adventures begin. I debated buying Conrad Richter’s 3-novel series, The Awakening Land, but even the kindle versions are $11.99 each and I already have piles upon piles of books and many kindle books that I have not read yet, so a bit of book hoarding guilt set-in. I picked up my tablet and read Cather’s O’Pioneers, which I already had in my kindle library. Cather’s pioneer novels, give life and voice to the unforgiving land, taking it from being just the setting of her stories, to being as alive and vibrant as her human characters. Then I waffled and ordered the kindle version of Conrad Richter’s short-stories, Rawhide Knots & Other Stories, thinking that I could get a taste for his writing and decide if I want to order some of his novels. My local library doesn’t have any of Richter’s novels, which made me wonder if he was one of those Pulitzer Prize winners whose work appealed to literary critics more than the general public. By the fourth short story I’m already a Richter fan. He captures the harshness of that land too and like Cather, his female main characters aren’t delicate flowers. These women, just like the men, are gritty survivors in a new land. 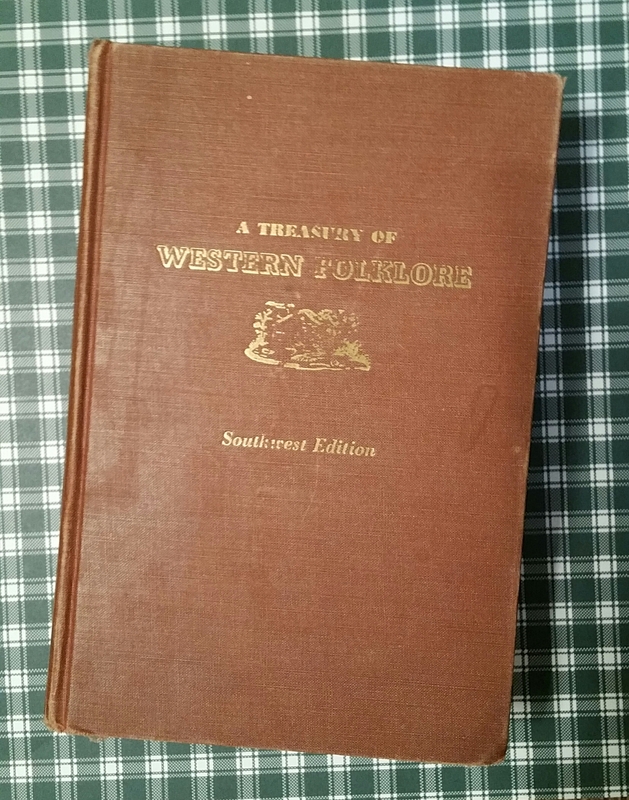 I pulled out my old copy of Lonesome Dove, a truly epic Western by Larry McMurtry, which I read decades ago and might reread that and I also pulled out this old hardback book, A Treasury of Western Folklore, that I picked up in an antique/junk store in Clovis, NM in 2006. My husband and I had driven to Clovis to visit our son serving in the Air Force, before he deployed to Iraq. I’ve started skimming through this collection and reading some fascinating bits of trivia and tall tales. The story about how the Stetson became the most recognizable piece of western attire ranks as an amazing merchandising strategy of a hat-maker, who began sending samples out west to merchants and the orders poured East to John B. Stetson’s hat-making factory in Philadelphia. Once I tire of the Westerns, it will be time to start hunting down the Lindbergh and Beryl Markham writings. One slim David McCullough book looks like it will keep me exploring new vistas for quite some time. … and of course I read close to a dozen historical romance novels this summer too… but even several of those were set in the Old West… Some things never change. Have a nice day! 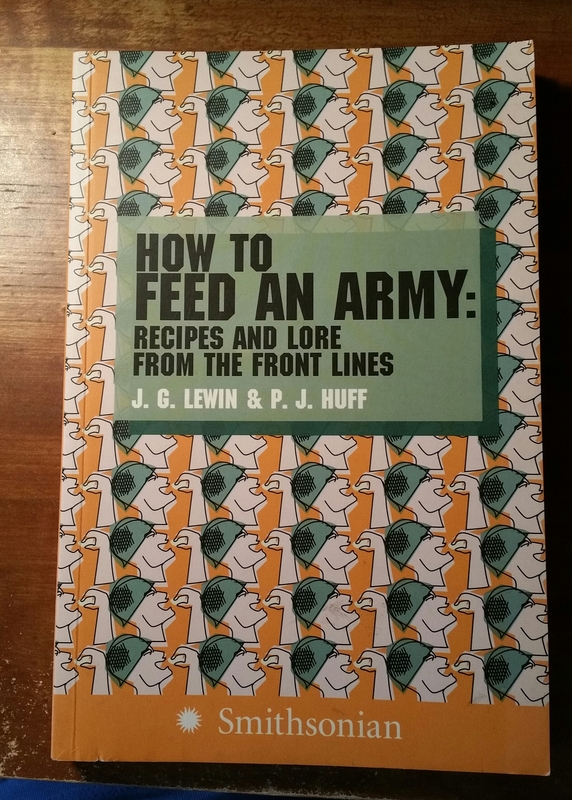 This is a really fun Army cookbook, if you ever want to attempt cooking Army recipes from America’s front line troops, throughout American military history. 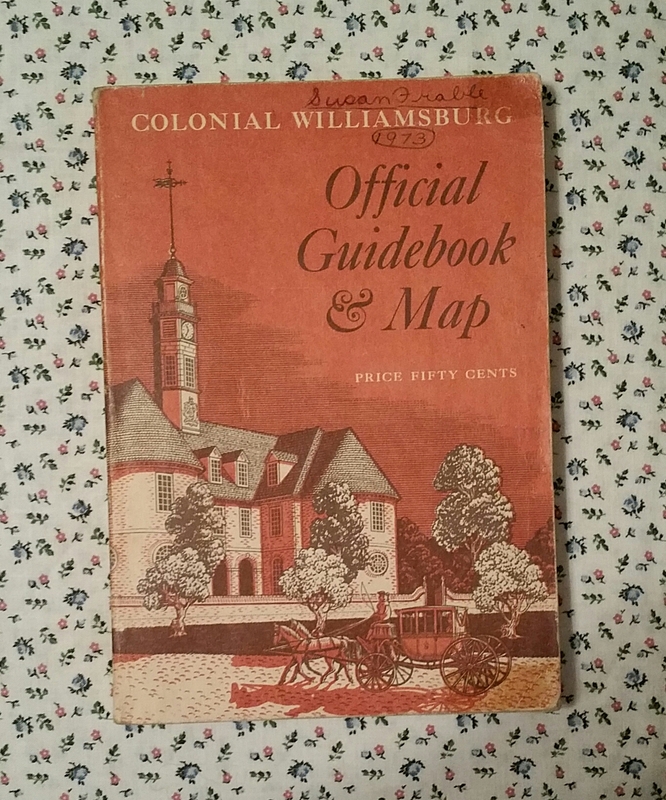 There’s even a recipe for Colonel George Washington’s small beer. The recipes come with ingredient lists for feeding 10 or feeding 100. I really liked that. And as an added bonus, this book is brimming with tidbits of military history and lore. All leadership boils down to trust. “Brian M. Linn, a history professor at Texas A&M University, did just that nearly two decades ago when he published “Guardians of Empire,” a book on the U.S. military presence in Asia from 1902 to 1940. His verdict on Trump’s claim? “There is absolutely no evidence this occurred,” he told The Washington Post. But Trump’s claims, and the wider belief in a routinely debunked story, have far-reaching effects. Not only is the story untrue, but the convenient twist — of an insurgency defeated only with the use of brutal war tactics — points to precisely the opposite lessons Pershing and his troops learned in the Philippines campaign from 1899 to 1913, Linn said. President Trump loves to sound “tough”, so it’s no surprise he’d latch onto this “committing war crimes to defeat terrorists” myth. This myth is the distillation of his conviction that the US military should murder ISIS family members to scare ISIS terrorists into submission, his “become terrorists to defeat terrorists strategy”. General Pershing deserves to be remembered as one of America’s finest generals, not as a war criminal. He revolutionized the American military during WWI, when he commanded the American Expeditionary Forces. He went to war without an army, because the American peacetime army had been reduced to a few scattered regiments. His innovations and relentless pursuit of solutions to complex logistical and tactical problems should be required reading for American military officers. He defied bureaucracy at every turn, always striving to tackle every obstacle. He dedicated his life to not only leading soldiers, but taking care of his soldiers. And above all else, General Pershing believed in a stringent code of conduct for all soldiers to follow. He was not a ruthless killer; he was an American soldier dedicated to serving and protecting America. General John J. “Blackjack” Pershing is an American hero worth remembering. I intend to write more about General Pershing in future posts, because we could all learn a great deal about what selfless service means, by studying his leadership example. President Trump is not the only American to fall for internet myths, fake news, garbled history, fabrications, hoaxes and scams. Almost everyone who consumes news and information online has fallen for information, that was not true. For instance, I read news at the Conservative Treehouse, seeing it mentioned in a list of conservative blogs. The site uses Breitbart wallpaper, imagery of the Tomb of the Unknown Soldier, and Biblical quotes to lure people into believing it’s just a conservative site. I now believe it’s a Russian front operation. I read some information there a few years ago and was fascinated trying to understand their crowdsourcing method for acquiring information. Their two big topics were exposing the lies about black violence and Islamist terrorism. I was banned from their site for trying to post a comment about the Islamic Golden Age, and countering some woman, who claimed I was aiding the enemy and touting Islamists. The historical fact is there really was an Islamic Golden Age and Islamic culture was far more advanced in the sciences than Europe, during that time. My comment was blocked and I was banned, but they allowed and encouraged racist comments. That site became Trump Polling Central during the 2016 campaign. I mentioned my concerns about Drudge in previous posts. Like millions of other political junkies, I started following Drudge during the Clinton impeachment scandal. In recent years, Drudge started mainstreaming loon, Alex Jones, by featuring Jones’ stories. Drudge also sensationalized conspiracy stories, like linking Ted Cruz’ father to JFK’s assassination, to destroy Ted Cruz. Numerous times he headlined unflattering photos of Trump’s opponents. On one occasion he headlined photos of Hillary, casting her as decrepit or another occasion, he ran photos of her casting her as a drunk. The oddest thing I noticed on Drudge during the 2016 election was he removed his link to RedState, which went NeverTrump, from his list of links, and replaced it with Zero Hedge. I’ve seen numerous articles alleging Zero Hedge is a Russian front operation, that recycles Russia Today propaganda. The scope of Russian front operations online, their troll armies in comment sections to attack and silence anyone not on the Trump train, melded with Trump’s American sleaze operators, like Roger Stone, Peck at the National Enquirer, Richard Mercer’s Trump data operation, and Trump’s largest agitation propaganda front, Rupert Murdoch’s FOX News. I know I have fallen for things online that turned out to be untrue, believed sites were reliable news and weren’t, but I am not making critical national security decisions, like President Trump. I’m a homemaker, who writes a blog. “Confronted with a West Wing that treated policymaking as a free-for-all, President Donald Trump’s chief of staff John Kelly is instituting a system used by previous administrations to limit internal competition —and to make himself the last word on the material that crosses the president’s desk. President Trump has shown a preference for relying on word-of-mouth information from his friends and sycophants. General Kelly is trying to provide President Trump with fully vetted information, to aid in the president’s decision-making. Whether he succeeds at weaning Trump off his penchant for trusting in unvetted internet stories remains to be seen. President Trump believes the American intelligence community, who vets that intelligence information, can’t be trusted, . It’s worth remembering that several months ago President Trump cited Russian reports as factual to back up his assertions about Russian collusion. He relied on Russian reports, but believes the American intelligence community is the nefarious “Deep State” out to get him. Valerie Plame, the former CIA agent, whose identity was leaked several years ago, has initiated a crowdsourcing effort to raise money to buy Twitter and kick President Trump off of Twitter. This is a ridiculous and pointless effort. He has the bully pulpit of the presidency and has endless ways to get his message across. Beyond that, although I believe it would be better for the country if President Trump got off of Twitter, he is free to make that decision himself. He obviously believes that his tweet war against the media is helping him “win”. He deliberately tweets to incite the media and his political enemies, who without fail, rush into a spinning frenzy of moral outrage and retweeting rushed stories, many which fall apart quickly. This aids him in convincing his followers that he is a victim of a vast conspiracy. Every time he gets the media and his political enemies to overreact, he feels that is a win. Contrary to President Trump’s assertion that he likes to get the facts, he goes on instinct rather than a careful study of facts and he is very sloppy at presenting detailed information. None of that matters, because Roger Stone and the other sleazy political strategists behind President Trump came up with his strategy to win in 2016 and they are behind this MAGA 2.0 strategy. Trump doesn’t understand the details, but he is masterful at the stagecraft and acting the part of a populist flamethrower. “But if the president is impeached, Stone says, there could be disastrous repercussions. “This is not 1974,” Stone explained. “The people will not stand for impeachment.” This, of course, refers to Richard Nixon‘s resignation after the Watergate scandal. Stone worked in the Nixon administration in the Office of Economic Opportunity. Stone didn’t just predict violence among the public. He said that those in Washington who would support impeachment would be placing themselves at risk. “A politician who votes for it would be endangering their own life,” he said. These Trump train thugs, like Stone, want more violence, they especially want the crazies on the left and right to get more violent. Most of all they want to intimidate, by using fear. President Trump will be out there stirring up his base, along with his FOX News army of propagandists, telling Americans that Trump will not put up with violence and he will be tough on crime. The best defense against Trump train intimidation and fear mongering is to not be afraid. Don’t back down from threats of violence. Unite in encouraging civil debate, calm, respect for all Americans and most of all respect for the rule of law. We should all work tirelessly to pull all Americans away from the partisan extremes. In the end America’s future does not rest on General Kelly’s ability to rein in Trump, or the media reporting, or getting Trump off of Twitter; it will rest on who the American people choose to trust and follow.